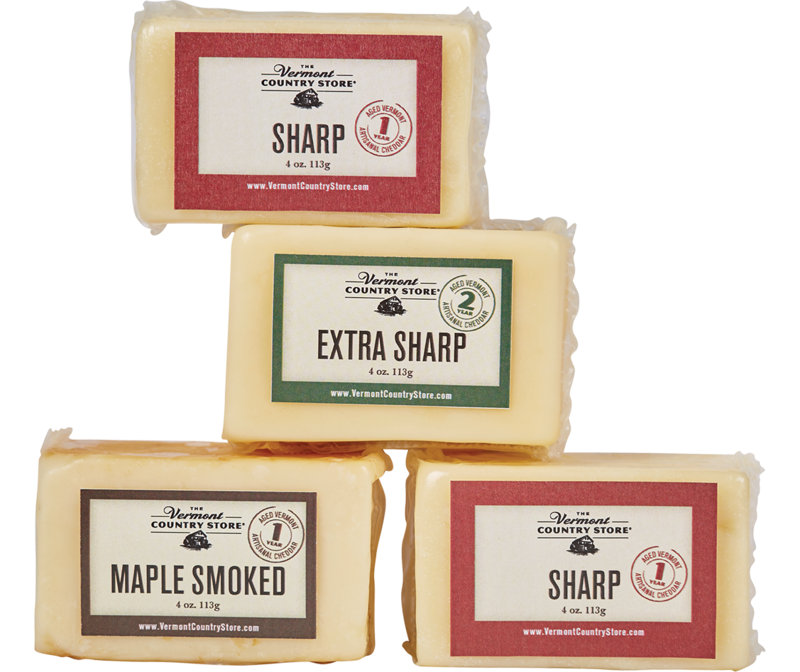 We’ve been selling fine Vermont cheeses at the Vermont Country Store for a long, long time. In fact, one of the most important jobs we had growing up was working behind the cheese counter. We had to learn how to cut a wedge weighing exactly one pound from the big 38-pound cheese wheel, just by eye. “Any storekeeper worth his apron should be able to do this every time,” my father would say. We got plenty of practice because visitors always wanted to take home some Vermont cheddar, and it wasn’t easy to find outside the state. You could order it from our catalog though. 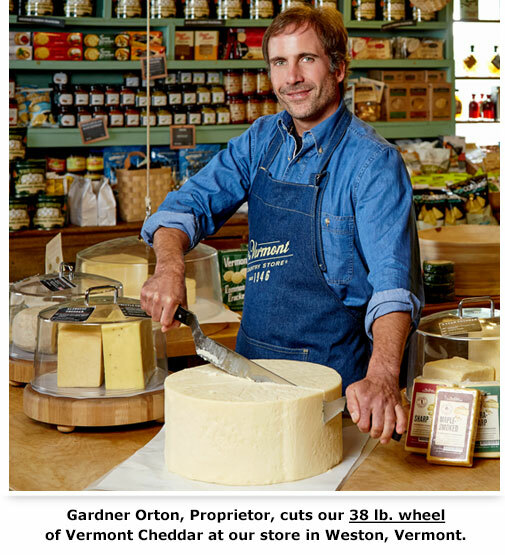 My grandfather, Vrest Orton, started selling Vermont farmhouse cheddar in The Vermont Country Store catalog in 1948. This was a very unusual thing. Back then there were only one or two catalogs that tried to sell food through the mail, and no one would ever think of selling cheese from a tiny New England state that way. Vrest did, though. He believed strongly that anyone who tried Vermont cheese would taste the quality, and the care that went into its making. 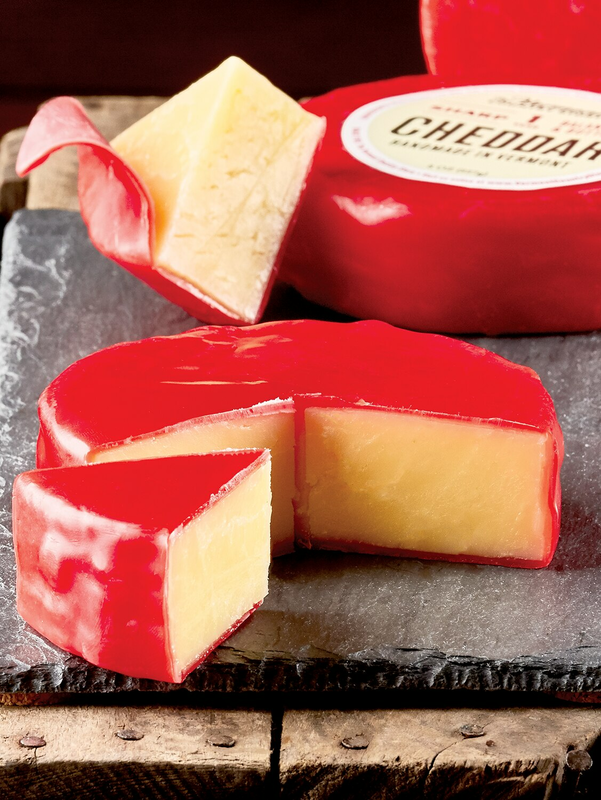 “The cheese, when it arrives at a customer’s home, must speak for itself,” he wrote. And he was right. There was another reason too: our grandfather was on a mission. You see, forty years ago, the cheese making art in Vermont had dwindled to just six producers, and Vrest thought it was important to get the word out there before the art was lost completely. We hung in there, and bit by bit more people came to experience and appreciate the unique, indefinable quality of Vermont cheese. 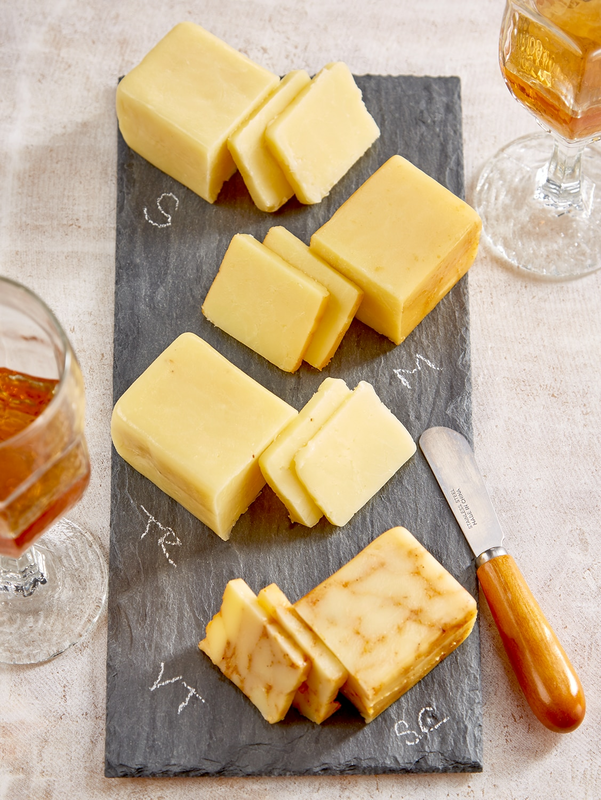 Gourmets call it “provenance” or “terroir.” We say Vermont cheese has heart. Today, there are 50 artisan cheese makers in Vermont, and they make about 150 varieties of cheddar, gouda, chevre, brie, feta, Romano, you name it. Our store now carries 70 different varieties, and all but a few are made right here in Vermont. And of course, we still have that big 38-pound wheel of sharp cheddar on the counter. Stop by and we’ll cut you off a pound. Exactly. Posted in Discover Vermont, Food and Drink, Holidays, Orton Family Classics. I so love receiving your catalog. Though I’ve only a purchased a few items, I do enjoy going through it page by page. Thanks for not following the trend and keeping a paper copy available to the public.